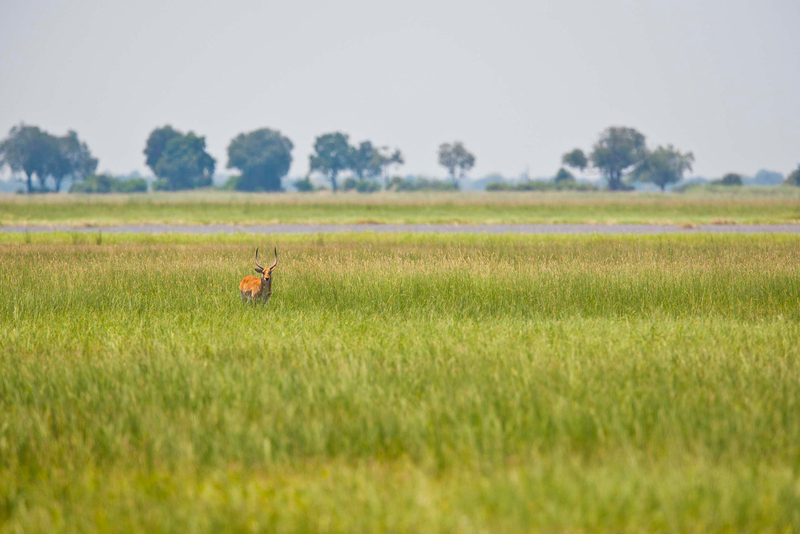 T here are many options along the rivers, floodplains and forests of the Zambezi Region for campers who wish to settle into their own space and explore the area. Many of the area’s lodges have camping facilities. These include Popa Falls Lodge, Camp Kwando, Caprivi Collection and Nambwa Tented Lodge. The advantage of using camping facilities at these establishments is that campers have the option of using lodge amenities. The Mudumu and Nkasa Rupara national parks offer a few non-serviced campsites for travellers in 4×4 vehicles who are completely self-sufficient. While these options are more basic, they nonetheless provide the campers with a truly ‘natural’ experience in scenic surroundings. Some of the Zambezi’s most interesting campsites are those run by local community conservancies who benefit from the camping fees and employment opportunities and in turn help protect and use the natural wonders of this region in a sustainable way. Salambala Community Campsite is located about 50 kilometres from Katima Mulilo just off the tarred Ngoma road leading to Botswana and Zimbabwe. In the mopane woodlands close to Salambala Pan, the local community manages four individual campsites. Each site has its own shower with hot water, toilet and kitchen shelter under thatch, allowing for peace and privacy in the bush. 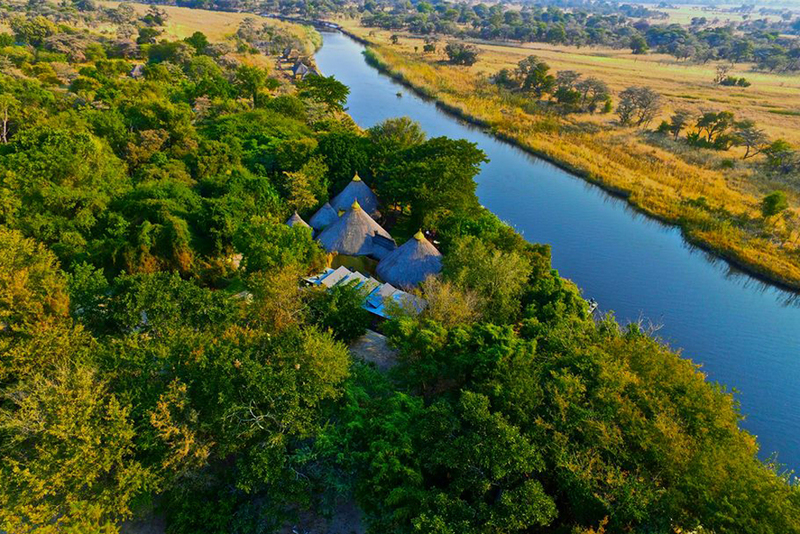 On the Kwando River, seven kilometres off the main Trans-Caprivi Highway in the Mayuni Conservancy is Kubunyana Community Camp. This camp has two distinct sections, one with four camping sites and a central ablution block and the other with three permanently pitched tents placed under a thatched structure, each with two beds, and a central kitchen area and ablution block. 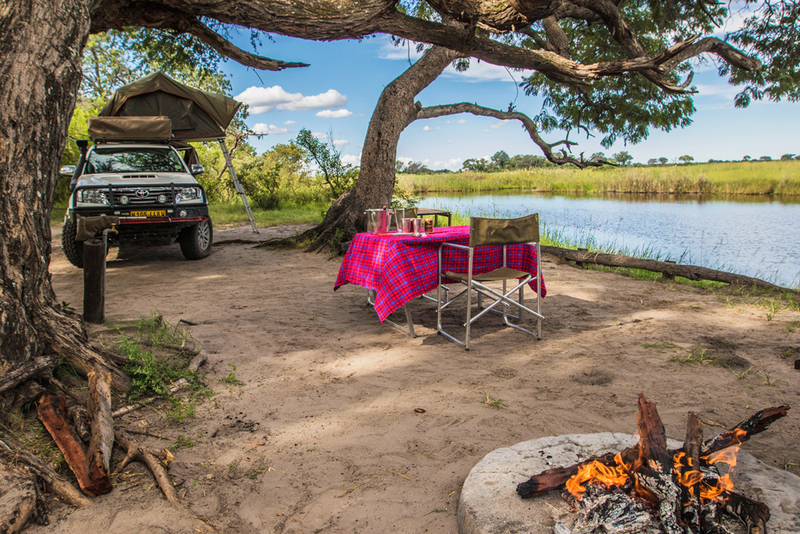 Just off the main Trans-Caprivi Highway and easily accessible in sedan vehicles is Bumhill Campsite. Built according to ecologically sustainable principles, Bumhill Campsite is on the banks of the Kwando River in the Bwabwata National Park and is run by the Kwando Conservancy. Bumhill offers three standard camping sites with separate braai areas, and shared ablution and kitchen facilities. There are also four exclusive sites with en-suite facilities (toilet, wash basin and hot shower) and a private braai area. Each of these sites has its own three-metre-high deck offering panoramic views down the river where elephants and baboons are frequently seen. Tourists are advised that there is no electricity at Bumhill Campsite and while water is available, campers should bring their own supply of drinking water. Deeper in the bush and requiring a four-wheel-drive vehicle for access is the lovely Nambwa Campsite. With its huge, shady trees and views down the bank of the Kwando River, Nambwa Campsite is an ideal place for pitching your tent and exploring the wildlife and bird life around the camp and in the Bwabwata National Park. Officially opened on 14 December 2004, Nambwa Campsite has attracted guests from all over the world, including countries like Canada, The Netherlands, France and the UK. ‘Great ablution facilities, lovely spot, and friendly people’ and ‘great ambience, lots of game and great birds’ are among the glowing comments found in the guest book. Nambwa has six private camping spots, surrounded by tall trees and affording lovely views. 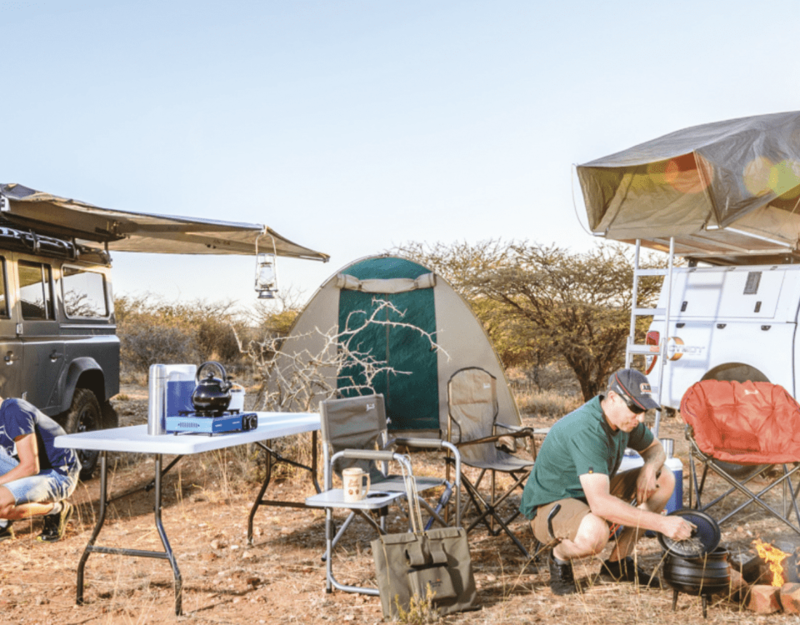 Four campsites are large enough to accommodate up to four vehicles and their occupants, while two campsites are reserved for one vehicle and its occupants only. Each campsite has running water, a rubbish bin and a braai place. Two separate ablution blocks with facilities for men and women are clean, spacious and well maintained. As with Bumhill Campsite, the fees at Nambwa Campsite are very affordable. Wood can be purchased, and at times, there is a local guide who can be hired by guests to lead them into the park. Located in the Mayuni Conservancy, the Nambwa Campsite employs local community members and benefits the conservancy by helping to compensate people whose fields have been destroyed by elephants. Supporting conservancy-run campsites in Namibia is a win-win proposition, both for the locals and for international guests.